Sindbis virus (SINV) particle, computer artwork. 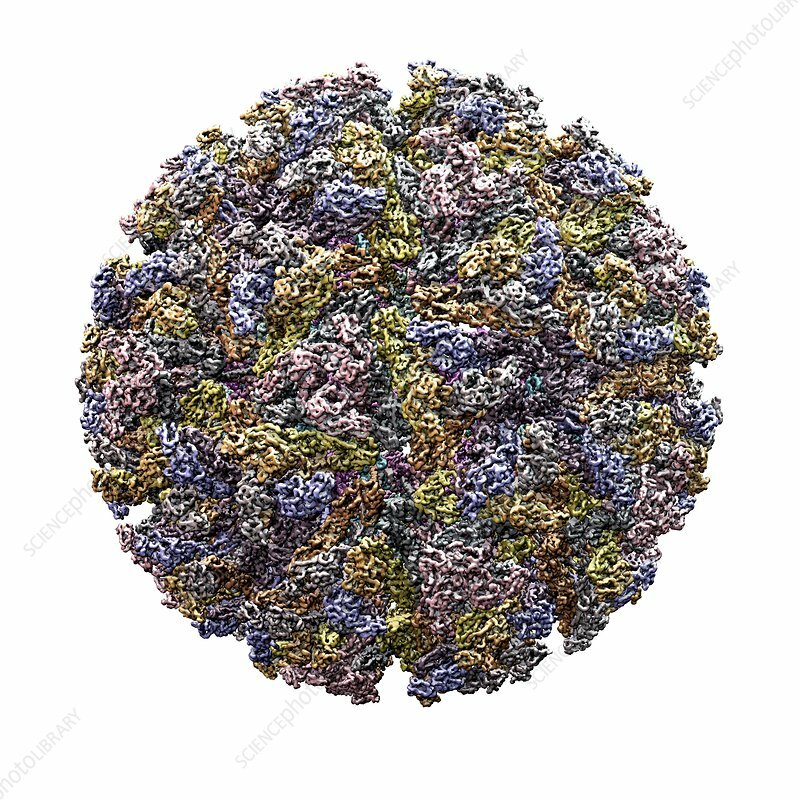 SINV particles (virions) consist of an outer protein coat (capsid) encasing RNA (ribonucleic acid), the genetic material of the virus. SINV is most commonly spread by mosquitoes (Culex spp.). Infection with SINV causes joint pain, malaise and rash.